When you are an owner of a vehicle, there are a few things you must do to ensure that your vehicle continues to run the way it was designed. One of the quickest, cheapest, and easiest things you can do to care for your vehicle is to get the oil changed. At Desi Auto Care, we have performed countless oil changes for our valued customers. Regularly performed oil changes ensure that your engine is not being forced to work overtime through dirty oil in order to perform. Whether you are the owner of a Ford, Nissan, Volvo, Lincoln, Volkswagen, or Buick, all vehicles require oil and therefore need oil changes. Every manufacturer has different recommendations as to how often and at what mileage you should have your oil change done. Check your owner’s manual for the exact mileage your car’s maker recommends and doesn’t allow that mileage to pass without getting it done. 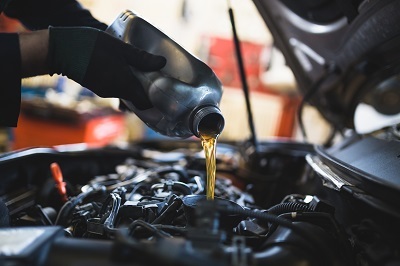 Neglecting an oil change will result in causing stress and unnecessary wear on your engine, which could cause it to stop running well before its time. Replacing an entire engine is a very costly repair to make as a result of failing to regularly change the oil. Give Desi Auto Care a call today at (856) 474-1213 to schedule an appointment for your next oil change. We have the process down to a science and can get you in and out quickly!